Hey all! I want to share with you all my experience and 5-day 'expertise' (well maybe not so expert) on Lavender's Botanicals game that I think would help you and your queries! If you've just started on that game, then this post is for you♥! 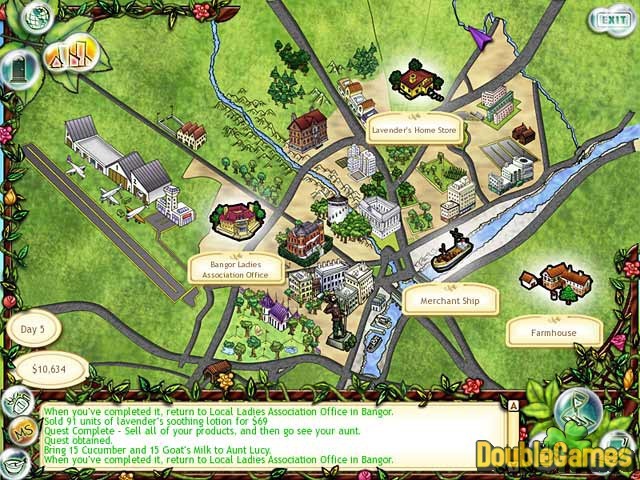 Build an empire of relaxing fun in Lavender's Botanicals, an original adventure game! Help Lavender create the best personal care products from all-natural ingredients and sell them all over the world. Travel the globe, meet friends, discover delightful recipes, and embark on exciting quests that will help your growing business blossom! Use fun mini-game to set production, keep your factories stocked, and keep up with the market by developing new products! 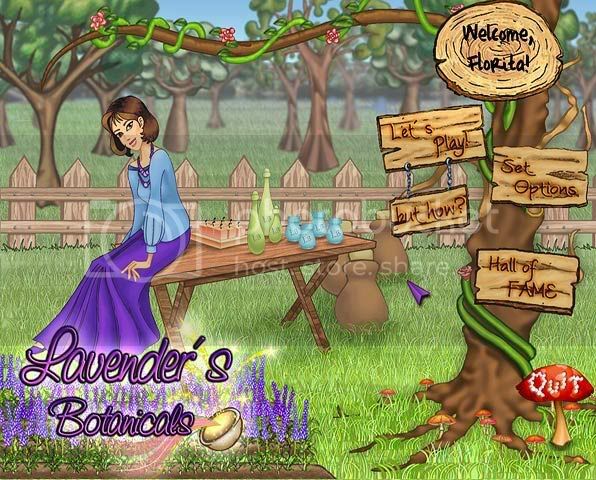 A delightful adventure for all, Lavender's Botanicals features gorgeous full-screen graphics, an engaging storyline, and even some hidden surprises! Join Lavender on the adventure of her dreams today! Too bad for this game though, their startup mode wasn't so...practical..? Like you know, when you start playing a new game and they have a demo mode like they teach you how this game is played, like how you see in Cake Mania or Diner Dash. The game started with a few information like telling you what button is what and stuff and when Aunt Lucy was gone and I was on my own, I was a bit blurred and didn't know how the game works. 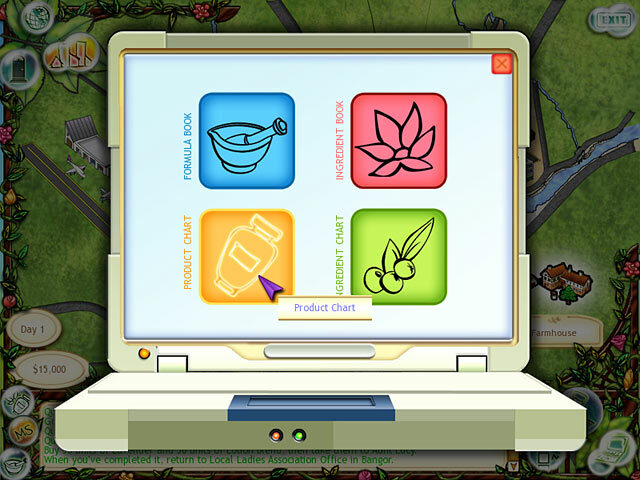 Lavender's Botanicals game is a game where you, Lavender will start making natural, eco-friendly products and expand your business throughout the world, starting from a small city in Bangor, Wales. You'll own factories around the world and gather ingredients as well as finding new ones and recipes to create a new type of product by talking to people worldwide. While you're at it, you'll receive numerous awards from different countries by being friendly to the Earth♥. Okay here's the...Main Menu, Dashboard, your Admin window. I'll explain what are they and when do you need them. World Map is a window where you'll see..well, the World Map literally. xD You'll get to go to 17 places like Seattle (United States), Toronto (Canada), Bangor (United States), Valparaiso (Chile), Sao Paolo (Brazil), Kilkenny (Ireland), Lisboa (Portugal), Avignon (France), Mykonos (Greece), Cape Town (South Africa), Cairo (Egypt), Nairobi (Kenya), Bangalore (India), Beijing (China), Kyoto (Japan), Adelaide (Australia) and Auckland (New Zealand), represented in round clickable icons. Just click on any country and you'll fly there. Money and days will be spent when you travel. NOTE: Take note on the money you'll have to pay and days you'll have to pay before you click on any country, especially when you're short in money or your factories are running low in ingredients and you have contracts to fill everyday. This is used when you've went to "My Shop" button or whenever you want to see the city you're in. Basically, I think, your shop in the city you're in. It's clickable everywhere I was, so that means you have 17 shops around the world♥! Here you'll be able to see your Trophy Gallery, your Laptop (also accessible from the "Main Menu" on the bottom right window) and also your Journal (see picture below). Inventory is your....well, inventory. The items that you've bought, that you've produced in your factories everyday, will be stored here, unless you have contracts with companies, then the items will be sent to the company automatically. It also shows how much of an item do you have. In computer, this is called history. It's like a history of your activities, what did you buy and how much of it, what did your factories produced and how much, the contract that you've just taken, broken contracts, etc. Here you'll be able to see icons of your factories worldwide. Hove the cursor on a factory image and it will show what product it's producing and the ingredients for it as well as telling you if it's running out of an ingredient for it. If the indicator next to it turns red, it means that it's not producing that product due to insufficient ingredient. If it turns yellow (idle), it means that you haven't assign the output. Outputs is assigned by playing two games- a game of shooting ingredients of the same type or a match-3 game. If it's green, then it's okay. Factories continue to function as long as they have enough ingredients to produce the product that you've assign them to make everyday. So that means you need to have enough ingredients for that particular product they're producing in your Inventory. You can pass one day by clicking this button. Click on this button and it will show you contracts that you have ongoing with companies, products and how much of it you need to supply them everyday. It will also show you your "Current Quest"- what items you need to have and where you'll finish it. Now that you know how to go about everything, now's the time for you to make some money and discover new products and ingredients and expand your empire line at the same time! You can get quests from individuals worldwide and these can help you get access to new ingredients, new place to discover (be able to travel to) and new factories. In return, they usually want ingredients and some products of yours. You can also have contracts here! In other words, supply companies like hotels, centres, shopping malls and such with your products. This is the best way to make big money as the price for the products will be higher than usual so if you maintain constant manufacture of their desired product, you get constant, big fat money everyday! I just obtained a new recipe! What to do about it? Whenever you get a new recipe, you have to learn it by a match-3 game. You'll only have to do this once. I suggest you take contracts that gives a lot of money. The highest that I ever got was 1,200 per product. See what is the highest paying product that you have currently then go to places and have contracts that wants that product of yours. However, sometimes, this method doesn't work. Sometimes people pay more for the lesser priced product. That's all I can think of right now. If you have any other inquiries, just comment on this post on the comment form below and I'll be sure to reply you ASAP♥!